. 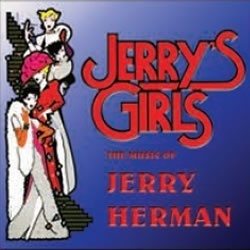 The Broward Stage Door Theatre opened its production of Jerry's Girls on March 1, 2013. This Broadway hit features all the best Jerry Herman songs from such immortal musicals as Mame, Hello Dolly!, Milk and Honey, Mack and Mabel, A Day in Hollywood/A Night in the Ukraine and La Cage Aux Folles. ...Stage Door’s director/choreographer Jonathan Van Dyke has brought in six chanteuses to deliver Herman’s numbers with more belts than you’ll find in the leather booths at the Festival Flea Market. As long as you have competent singers who invest some energy in their performances – and Stage Door does — there’s no way this show can fail; the material is simply that good. Having six performers instead of the usual three gives the group numbers extra heft and gives Van Dyke a chance to move the ladies around in modest dance steps. First among equals is Elizabeth Sackett who may have been the best thing about Stage Door’s recent Damn Yankees. Her renditions of the lilting “Ribbons Down My Back” from Dolly and the genial “Shalom” from Milk and Honey are warm and lyrical. Sarah Smith hits the back of the auditorium with her “Before The Parade Passes By” and “I Don’t Want to Know” from Dear World. Erin Pittleman’s lovely “I Won’t Send Roses” makes you forget it was originally sung by the Mack Sennett character in Mack and Mabel. Amanda Kuchinski is equally good on “Time Heals Everything,” the song that Bernadette Peters nailed in the same show. Leah Sessa applies verve to everything she sings but is affecting in “Song on the Sand” from La Cage aux Folles. Bethany Wagner is cast with primarily comedy numbers including “Gooch’s Song.” All have charming voices that are much stronger in the lower registers and tend to wander a bit in the higher reaches. The most stunning part of the production is the costumes chosen by Dan Kelley. The ladies have a new cocktail dress or character outfit fornearly every scene. And when the first act ends with all six singing“Hello, Dolly!” each wears a unique floor-length red sequined gown. Directed and choreographed by Jonathan Van Dyke, the Stage Door revue has exactly what it needs to succeed: six versatile performers with strong, lovely voices. David Torres’ set provides the requisite Hello, Dolly! staircase... Costume designer Dan Kelley more than fulfills the task of bringing visual variety to the show by dressing the women in an ever-changing array of outfits... Those design elements, however, are really just packaging. What makes Stage Door’s Jerry’s Girls worth a listen are its performers. Amanda Kuchinski shines on the soaring It Only Takes a Moment... and a gorgeous duet with Elizabeth Sackett on If He Walked Into My Life, then delivers an aching Time Heals Everything. Wagner takes the audience on a journey full of heartache, from a movie theater to a failed attempt at stardom, on Best in the World. Sackett finds the delicacy in Ribbons Down My Back and the myth-busting comedy in Nelson. Erin Pittelman imbues I Won’t Send Roses with irony and melancholy, and sings a fierce I Am What I Am... Leah Sessa gets the beautiful Song on the Sand from La Cage, as well as the furious Wherever He Ain’t from Mack and Mabel. Sarah Smith impressively meets the acting and vocal challenges of Before the Parade Passes By, I Don’t Want To Know and Kiss Her Now.